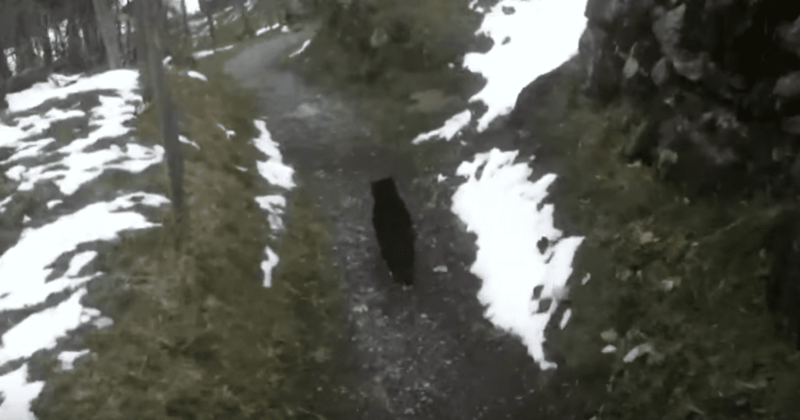 If you are ever lost in the Swiss Alps and a Tuxedo cat offers to show you the way, just follow him. 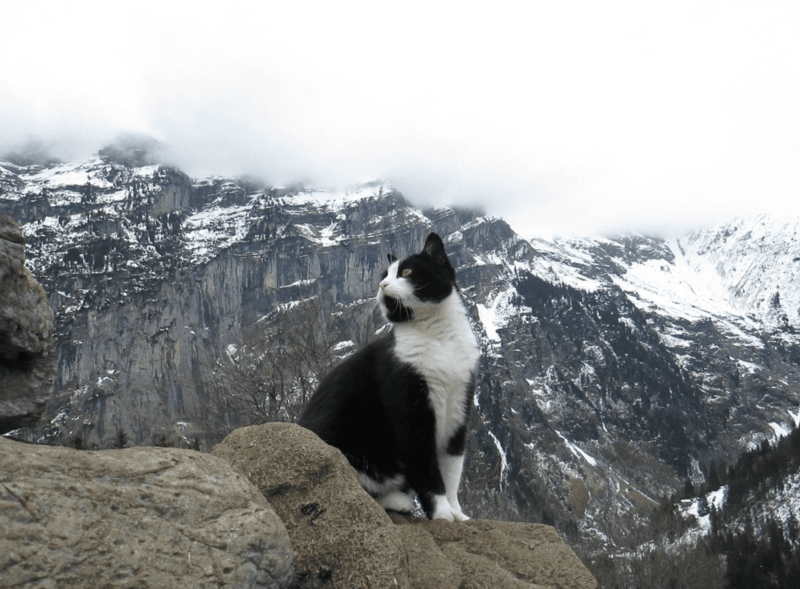 If you are ever lost in the Swiss Alps and a Tuxedo cat offers to show you the way, don’t hesitate to follow him. It might be the Guide Cat of Gimmelwald. A lost hiker with a sprained ankle met a friendly black-and-white cat who led him straight to the right trail down the mountain then said goodbye. The Hungarian hiker recently posted a video of the chance 2013 meeting in the mountains of Switzerland. The traveller, identified as sc4s2cg, shared his adventure on Reddit and YouTube. He explains that he was trying to return to his hostel in the resort town of Gimmelwald when he discovered that the only trail back was closed. 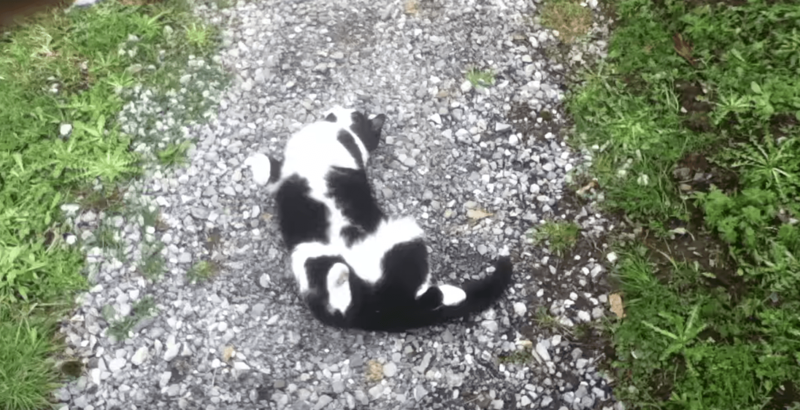 He was nursing a sprained ankle and in need of help when he met this cat. The cat, meowed, rolled over, and invited the lost hiker to follow him, which the man wisely did. In the video, the two continue along, with the man chatting to the cat and paying it compliments, which was probably a good idea. “[The cat] was just wandering around, [then] found me while I was resting,” the traveller wrote. 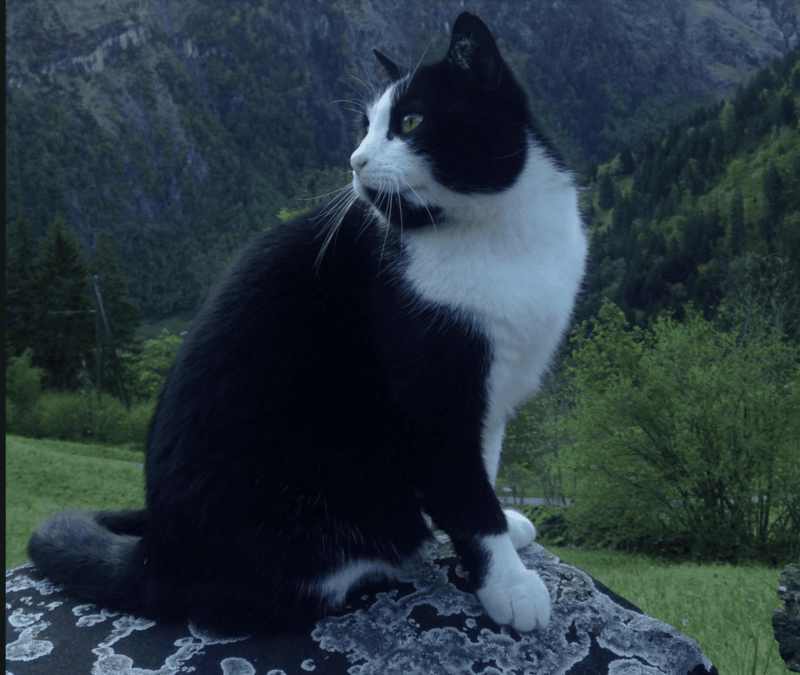 The grateful hiker’s Reddit post led to other users who said that they too had met the Guide Cat of Gimmelwald (! ), who appears to belong to one of the owners of one of the hostels in the town. Another Reddit user posted this photograph. 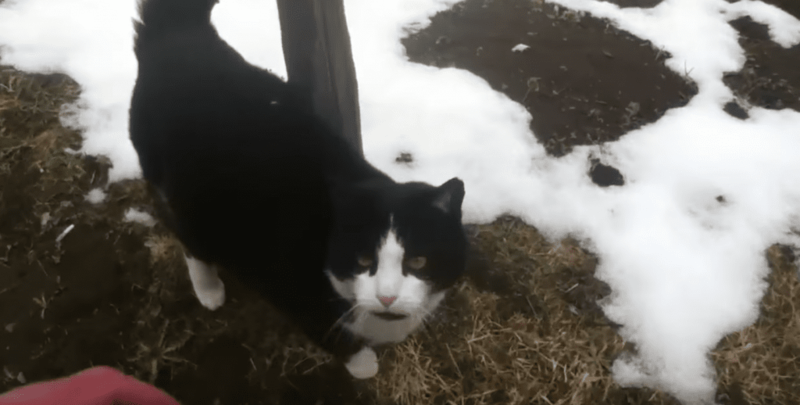 The friendly Tuxedo cat likes to keep visitors company while they ramble and apparently help them when they become lost.